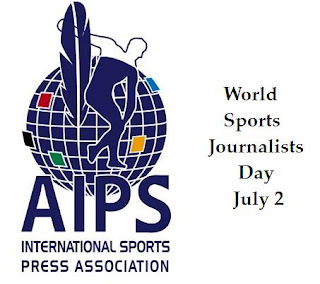 World Sports Journalists Day is a global professional observance held on July 2. It was established by the International Sports Press Association (AIPS) in 1994 to mark the 70th anniversary of its foundation. The term “sports journalism” refers to a form of writing that reports on sporting topics, it is an essential element of any news media organization. AIPS was founded on July 2, 1924 during the Summer Olympics in Paris. It comprises continental sub-associations and national associations. Among its partners are many big sports federations, such as International Olympic Committee, FIFA, IAAF and others. 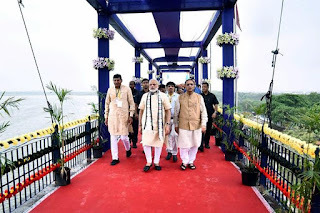 Prime Minister Narendra Modi welcomed the arrival of Narmada river waters in the city’s main water reservoir Aji dam, solving its perennial water woes. The Narmada water reaching the dam will resolve the water woes of the people of this city in Saurashtra region which has been facing perennial water shortage due to deficient rains. Perennially facing deficient rains, Aji dam has overflown for only 11 times in the last 40 years. In the years when the dam is not filled, people of the city face water scarcity. Modi formally welcomed Narmada dam water into the Aji dam. Odisha Chief Minister Naveen Patnaik tinaugurated computerisation of PACS and launched RuPay Kisan Credit cards in the state. Odisha is the first state to implement an integrated Core Banking Solution Project covering all three tiers of short term cooperative credit structure - state cooperative bank, district central cooperative banks and 2,708 primary agriculture cooperative societies. With computerisation of PACS, farmers are now able to draw their sanctioned loans from the ATM network of National Payments Corporation of India (NPCI) having 2.14 lakh ATMs of all banks across the country. Patnaik distributed micro ATMs for dispensation of loans at the doorsteps of the farmers and said the Government is keen to address all requirements of the farmers by converting the PACS as One Stop Shops. Now farmers of the state are empowered to access credit through the ATM network and Odisha is the first state in the country to introduce such foolproof system to ensure transparency through technology and teamwork. Indian Prime Narendra Modi formally inaugurated TransStadia in Ahmedabad, Gujarat earlier today. The multi-purpose sports complex also hosts a 20-000 seater state-of-the-art football stadium, the first of its kind in the state. The facility's formal inauguration comes nearly eight months after it first hosted a global sports event. s per reports, the Arena by TransStadia is a Rs. 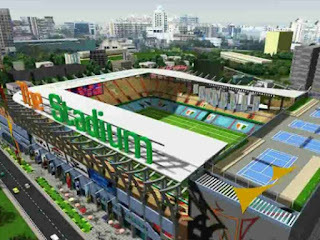 550 crore project, built on a unique Public Private Partnership (PPP) model, and is hailed as India's first convertible stadium. The venue also lays great emphasis on sustainable development through water conservation by rainwater harvesting, mist fire-fighting and zero waste water discharge with a state-of-the-art sewage treatment plant and water treatment plant. It ensures decreasing load on water resources by reusing and recycling 100 per cent of used or treated water. It provides for energy-efficient building by providing terrace gardens and energy-efficient equipment. 'Vikrikar Bhavan' the headquarters of Maharashtragovernment's erstwhile Sales Tax department, was renamed as 'GST Bhavan" as the new tax regime rolled out. The program named Innovate in India (i3) will witness an investment of USD 250 million with USD 125 million as a loan from world Bank and is anticipated to be a game changer for the Indian Biopharmaceutical industry. It aspires to create an enabling ecosystem to promote entrepreneurship and indigenous manufacturing in the sector. 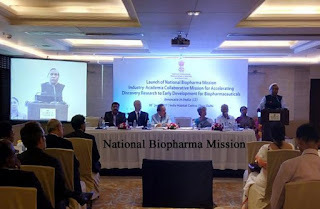 As a flagship program of the Government of India in collaboration with World Bank, it promises to boost the growth curve for domestic biopharma in India by accelerating the translation of research concepts into viable products, supporting clinical validation, enabling sustainable networks for collaboration between industry and academia, and supporting entrepreneurial ecosystem amongst many others. 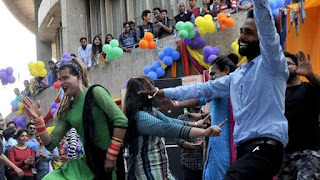 The Indira Gandhi National Open University (IGNOU) on Sunday announced exemption of fees for its transgender students of all programmes. Vice Chancellor (VC) Ravindra Kumar announced the initiative during the 22nd Prof G Ram Reddy Lecture, a release issued by the varsity said. The university holds the lecture on 2 July every year in the memory of the founding Vice Chancellor of the university professor G Ram Reddy. It invites eminent educationists and scholars to deliver lectures on higher education, especially in the open and distance learning domain. Narendra Modi inaugurated Textiles India 2017, Indias first ever mega textiles trade fair, being held at Gandhinagar, Gujarat. Textiles India 2017 gives fillip to Honourable Prime Ministers dream of Make in India. Rail Land Development Authority today joined hands with National Building Construction Corporation for redevelopment of 10 railway stations across the country on global standards. The Railways has embarked on an ambitious project to redevelop 403 stations with the participation of private players, public sector and foreign agencies. 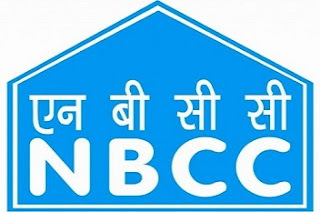 The identified stations to be taken up initially by NBCC for redevelopment are Tirupati, Sarai Rohilla (Delhi), Nellore, Puducherry, Madgao .,Lucknow, Gomtinagar, Kota, Thane (New), and Ernakulam. 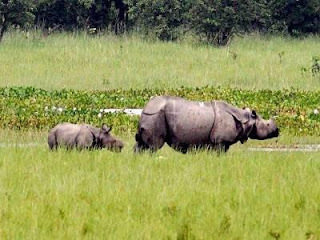 The government has already started the process of recruitment for the proposed force, which will be deployed for better protection of the one-horned rhinos in the state. There will be 22 officers for the proposed force who will be appointed on deputation for leading the force. Telangana would have a separate budget for agriculture from the next year. Rao also asked the officials to form farmers' associations at various levels -- from villages to the state -- to organise the cultivators, it said. 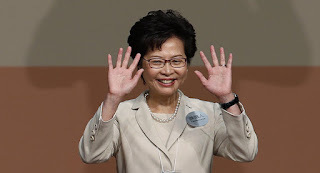 Carrie Lam was sworn in as Hong Kong’s chief executive, becoming its first female leader and the fourth person to hold the top government post since China regained control of the former British colony in 1997. She was previously the top deputy to Leung Chun-ying, the unpopular chief executive who chose not to seek a second term. Mrs. Lam was sworn in by President Xi Jinping of China on his final day of a three-day visit to mark the 20th anniversary of Hong Kong’s return to Chinese control. Mrs. Lam, 60, was chosen by the previous system, with a largely pro-government election committee selecting her from three candidates vetted by the central government. MS Dhoni who played an instrumental role in India's 93-run win over West Indies reached a career milestone by becoming the first Indian to hit 200 sixes in ODIs. Dhoni became the fifth batsman in international cricket to reach the elite 200 six hitting club. The list is topped by Pakistan's Shahid Afridi with 351 sixes, while Sri Lanka's hard-hitting opener Sanath Jayasuriya is placed second with 270 career sixes to his name. The 35-year-old Dhoni has now hit 322* sixes in his international career and is fifth on the list topped by former Pakistan skipper Shahid Afridi (476). Chris Gayle (434*), Brendon McCullum(398) and Sanath Jayasuriya (352) are the ones ahead of Dhoni. 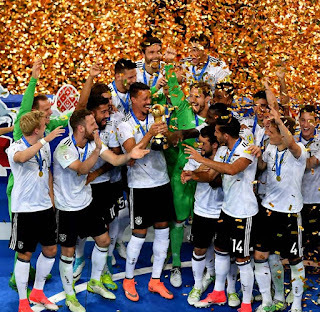 Germany battled their way to the 2017 FIFA Confederations Cup title on Sunday, beating Chile 1-0 in a tight final in Russia. Lars Stindl gave the Germans a first-half lead against the run of play, taking advantage of some dreadful defending. Chile went close on several occasions after the break, but their top stars faltered in front of goal. The unheralded 29-year-old former schoolteacher, who improved his record to 17-0-1, was awarded the win over the eight-division world champion by scores of 117-111, 115-113 and 115-113. City based private sector bank - Karnataka Bank, in its pursuit to transform customer satisfaction into customer delight, has unveiled yet another novel card variant 'KBL-image debit card. It is intended to enable bank's debit cardholders to customize/personalize debit card with image of their choice. This card is one of the new-fangled card products that will fulfil debit cardholders' desire to capture their best moments/family/friends impression on the face of debit card. The customers will have the option of selecting an image either from bank's gallery of images or any image of their choice to be printed on the debit card. This will foster cardholders' emotional attachment towards the cards. All our debit cardholders can get their existing card converted to image debit card with their personalized image. 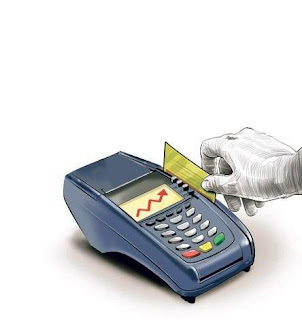 Punjab National Bank (PNB) Maestro debit cards holders will face a card blockage if they fail to replace it with a more secure EMV chip based card by the end of this month. 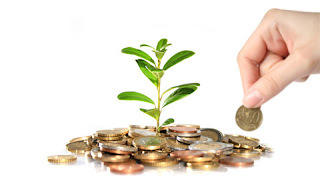 The bank will not charge anything for the replacement and it will be provided free of cost. As per RBI advisory, existing magnetic stripe only cards need to be replaced with EMV chip and pin based cards by December 31, 2018, irrespective of the validity period of the cards. 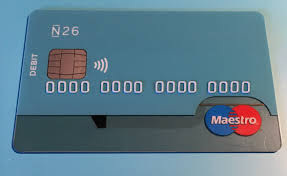 And from January 31, 2016 onwards, banks are directed to issue only EMV based debit and credit cards. An IPS officer from Telangana has won an award from the US Department of State for his fight against human trafficking in India. Mahesh Muralidhar Bhagwat, currently Rachakonda Police Commissioner, has been conferred with the 2017 Trafficking in Persons (TIP) Report Heroes Award by the US state department. Mr Bhagwat is the third IPS officer to get the honour. Mr Bhagwat was recognised for his vital role in elevating human trafficking as a government priority, and his innovative approach to investigating cases and dismantling trafficking operations. Shantanu Narayen and Vivek Murthy will be honoured with the prestigious 'Great Immigrants' annual award on US's Independence Day on July 4. 39-year-old Vivek Murthy was born in the UK and is a Harvard and Yale alumnus, he was appointed by former President Barack Obama in 2014, becoming the first-ever Indian-American to occupy the post and also the youngest ever surgeon general of the country. The Carnegie Corporation of New York was established in 1911 by Scottish immigrant Andrew Carnegie to promote the advancement and diffusion of knowledge and understanding. Shenoy, who is one of India’s top five highest selling women authors, was awarded on Friday by Brands Academy, one of the most reputed branding companies in India to recognise the achievements of personalities who have contributed towards building up the reputation of the country. The award ceremony also focused on celebrating the achievements of leaders from all walks of life. 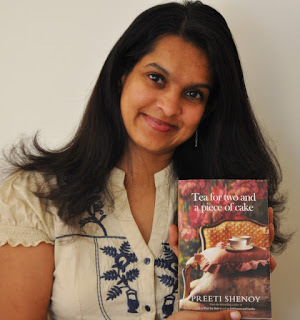 Other prominent winners along with Shenoy included Deepa Malik (Paralympics Gold Winner), Kavita Krishnamurthy (Singer) and Ranveer Brar (Celebrity Chef and TV Host). 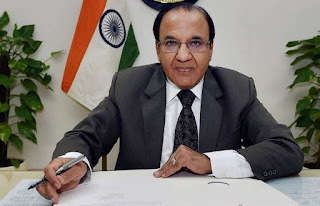 The Narendra Modi govt appointed Election Commissioner Achal Kumar Jyoti as Chief Election Commissioner on Friday. Achal Kumar Jyoti will take charge of the office on July 6. 64-year-old Jyoti, former Chief Secretary of Gujarat, was appointed as the Election Commissioner in the three-member body on On May 7, 2015. Jyoti is a retired 1975-batch IAS Officer belonging to the Gujarat Cadre. He was retired in January 2013. Jyoti was the Chief Secretary of Gujarat during the tenure of Narendra Modi as Chief Minister. Jyoti will have a tenure of one year, when he will turn 65. Mr Pachnanda, a 1983-batch police officer of the West Bengal cadre, was handed over the baton of the about 90,000-personnel strong, mountain warfare-trained force by outgoing Director General Krishna Chaudhary. 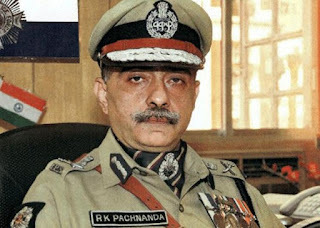 Mr Pachnanda comes to the Indo Tibetan Border Police (ITBP) with the rare distinction of serving in all the major central paramilitary forces and organisations including the CRPF, the CISF, the BSF, the Special Protection Group (SPG), the CBI and the NDRF. 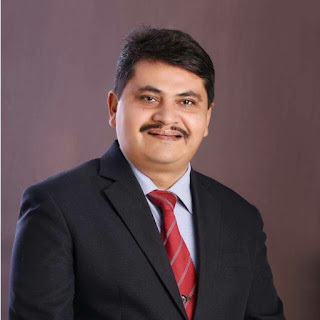 Senior diplomat Vijay Keshav Gokhale was tonight appointed as the economic relations secretary in the Ministry of External Affairs (MEA). Gokhale, a 1981-batch officer of Indian Foreign Service (IFS), is at present India's envoy to China. He was the High Commissioner of India to Malaysia from January 2010 to October 2013. 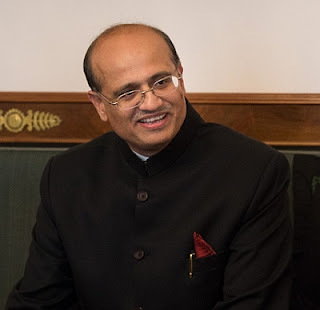 From October 2013 to January 2016, Gokhale was the Ambassador of India to Germany. Scientists have developed the world's sharpest laser wit a record-breaking precision that can help make optical atomic clocks more precise as well as test Einstein's theory of relativity. Theoretically, laser light has only one colour, frequency or wavelength. In reality, however, there is always a certain linewidth. Ideally, laser light has only one fixed wavelength or frequency. In practice, the spectrum of most types of lasers can, however, reach from a few kHz to a few MHz in width, which is not good enough for numerous experiments requiring high precision. Research has therefore focused on developing ever better lasers with greater frequency stability and a narrower linewidth. 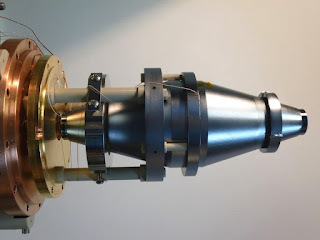 Within the scope of a nearly 10-year-long joint project with researchers from from JILA, a joint institute of the National Institute of Standards and Technology and the University of Colorado Boulder in the US a laser has now been developed at PTB whose linewidth is only 10 mHz (0.01 Hz), hereby establishing a new world record.